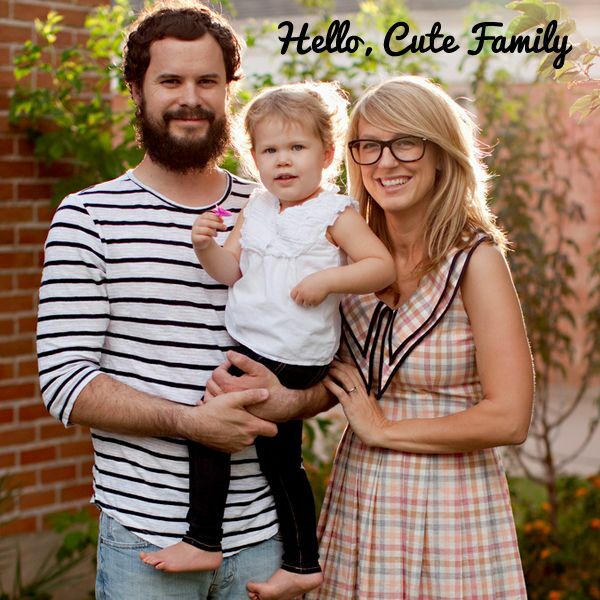 This super creative couple started Hi by Hello after stylish mama Anita kept wishing she could find cool-and-comfy clothing for their daughter Lola Birdie. 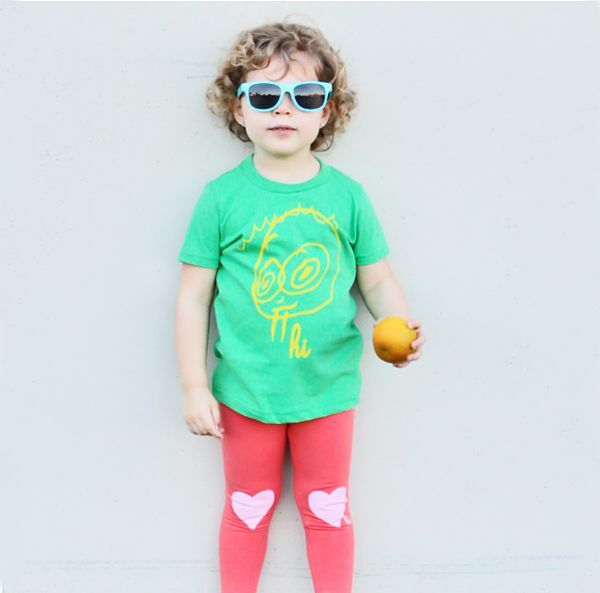 The line features hip lil’ leggings and tees with groovy designs that are perfect for girls OR boys! These are so cute—I especially love the lightning bolts. Each cape comes with a mask and would make an awesome holiday gift! 2. MATCHING DADDY & ME (OR MOMMY & ME) PULLOVERS! This is an adorable idea for grandma to get for your little one—a sweet “HI!” pullover and a matching “HELLO!” one for mama or daddy! The shirts are SUPER soft and cuddly. These are my two favorites—they’d look cool as comfy leggings with a tee or the pullover OR paired with a cute dress on a lil girlie. Twitter: Follow Hi by Hello on Twitter and share the status below with your followers. Be sure to leave another comment here letting me know. Instagram: Follow Hi For Kids on Instagram (user handle: @hellohiapparel). Be sure to come back here and leave a comment letting me know! You can also add me (@galexina) or dottie (@missdottie) for bonus entries. Again, make sure you leave a separate comment for each thing you do to ensure you get all your entry credits! We’ll randomly select a winner next Friday, Dec. 7th so be sure to check back to see if you’ve won. And in the meantime, if you’d like to order something for yourself or a kiddo in your life, use the code “MODERNKIDDO” at checkout for 20% off thru next Friday! NOTE: GIVEAWAY IS OVER. THANK YOU SO MUCH TO ALL WHO ENTERED! THE WINNER IS ANNOUNCED HERE! Thanks for featuring this shop! I’m a fan of the I’m so tired t for grownups and the leggings– especially the heart ones. They should make some with bandaids or kisses on the knees, too! GENIUS idea ab out the band aids and kisses! I would love to win a $50 credit to Hi! I have a baby boy on the way, so I would probably get the Hi onesie and matching kiddo shirt for his big sister! Wouldnt that maje for cute announcement photos? Adorable! Just followed Hi on Instagram! I already follow you two lovely ladies. I’d love a cape and new leggings for my daughter. The superhero capes are great! I also like the Lola Doodle t-shirt. I really like the white arrows onesie, It would be so cute on my baby that is due in May. And I also LOVE the cape/mask sets. My 2 daughters would really enjoy them! 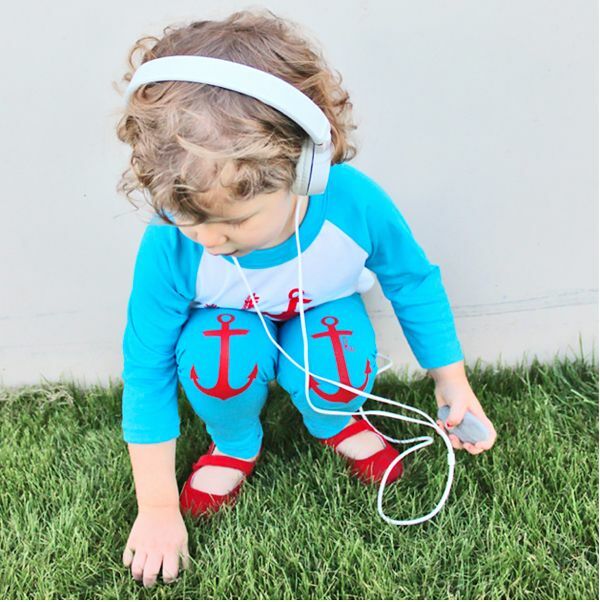 Love the hi Galaxy Organic onesie and the arrows leggings–so cute! My baby boy is due any day and I know he’d look awesome in either! Cape set and lightning leggings! Bouth the aarow leggings and top so excited!!!! WOuld love $50 more dollars to spend! 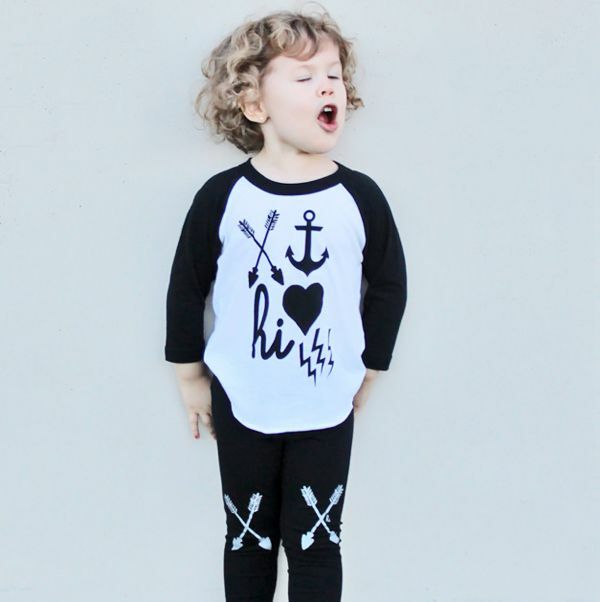 Loving the triangle raglan pullover and bolts leggings – my little dude would rock both! Love love love Hi for Kids!! Totally need the Lightening Bolt Leggings & the Logos Baseball Shirt…& much more!! I’m following Hi for Kids on Instagram! I love the triangle kids pullover and the hi kids pullover!!! Oh my goodness I love those sweatshirts and leggings! LOVE the lightning bolt leggings, actually all the leggings are super cute, Also the beseball tees are adorable. FOr sure the hi and hello shirts, not for baby and daddy, but my twins, both wearing one! Been loving these clothes on Instagram for weeks. The leggings are sweet. Would have to get a tee and of course a cape! The grey & yello liglightening bolt is to die for & perfect for boy or girl. But would of coirse have to get a pink on for my daughter as well. Love that everything is unisex! Hope i win!! Thanks to you all! the white arrows onesie and the arrow leggings! love it all thought! Oh man those capes are CRAZY cute. I’d love a pair of capes for my two little super boys! Great giveaway! I’d get the anchor leggings and mountain shirt for my little b. Following them on Instagram now. Yay! love the mountains t-shirt and bolts leggings! I love, love, love the arrow leggings for babies and the arrow onesie! So, so cute! Okay, that “hi” jumper is just TOO MUCH. also, it’d be pretty hard to pass up that mountains t-shirt!! Now following @missdottie on Instagram as well! Love love love their shop! I would order the Hello pullover in red for me, and blue for my man! oh those means are just genius! i love all their clothes…and capes! i would pick the lola doodle tshirt and the red triangle sweatshirt! i follow hi for kids on instagram. 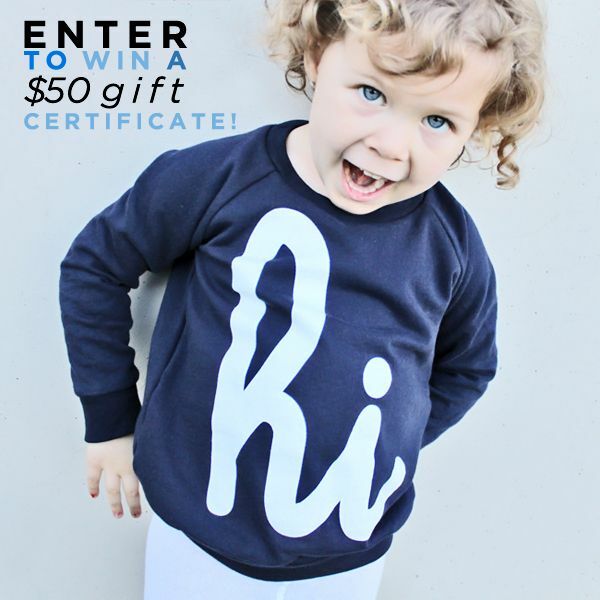 I would LOVE to win a GC, and I think I would have to get the “mommy & me” matching sweatshirts. Adore. I want the “Hi” and “Hello” shirts for sure! also, i follow alix on instagram! and i follow dottie on instagram! I’d love to see my two boys in the daddy son sweatshirts, so darn cute. I also follow you and Dottie and hellohiapparel on instagram…. Aren’t you proud of me? I would order a triangle superhero cape + the i’m so broke shirt – they would be given to my twenty-four year old boyfriend for christmas, hahaha!! i follow hi for kids on instagram – my handle is stellarmichele. i follow alix on instagram – my handle is stellarmichele. i follow dottie on instagram – my handle is stellarmichele. I love the mountain tshirt and the pink heart leggings for my four year old daughter. I’m following on Twitter and I tweeted! Thanks for the giveaway. Um ya, coolest giveaway ever!! I’d get the cape and “Hi” sweatshirt! So much cute stuff!! I follow Alix on instagram, boo-ya! i now follow Dottie too, double boo-ya! 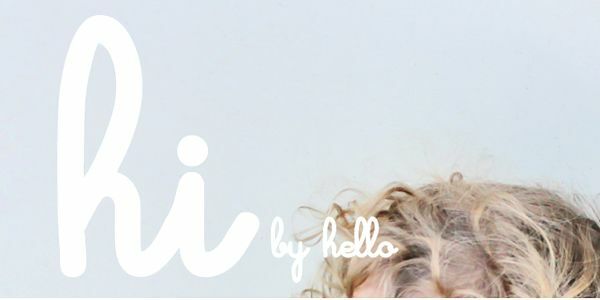 And I now follow @hellohiapparel too, triple boo-ya! Thanks for all the chances to win! I like the star superhero cape and the lightning bolt leggins. I would get the matching pullovers!!! Hi and hello! SUPER CUTE!! I just followed @hellohiapparel on Instagram! I just followed @galexina on Instagram! I love the mommy and me sweatshirts! Thanks for this offer—great, great stuff!! Thanks for the generous offer! 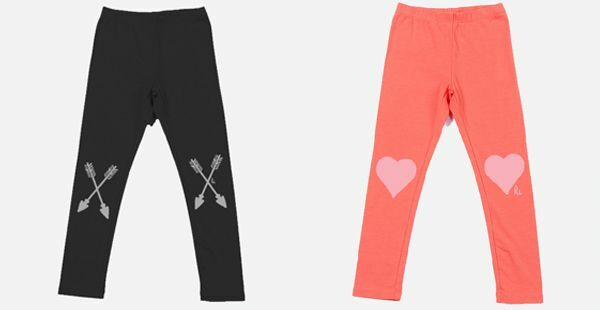 My daughter would adore the hearts or arrows leggings, and my son just told me to enter because he really digs the star cape! Would love Black arrow tights and Hi sweat shirt Size 6. Baseball T also, size 6. Following on @Hellohiapparel on Instagram. Any of the following! Hi sweat shirt Size 6. Baseball T also, size 6. I would get the Arrows (Babies) White Onesie and the Hi (Babies) Galaxy Organic Onesie! 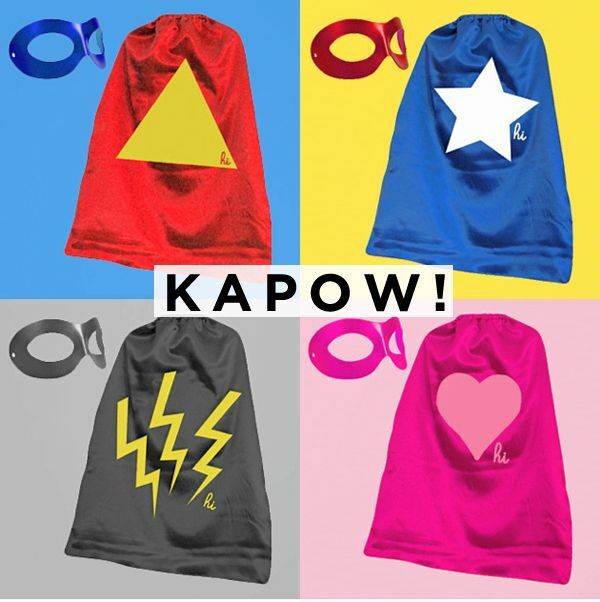 I’d get the arrow leggings and the lightening bolt cape for my lil man, they are so cute! I am completely smitten with the matchy matchy hello hi sweaters for kiddo and mom and/or pop! Fingers crossed!!! I am following @hellohiapparel and @modernkiddo on twitter !!! LOVEEE!!! I would love a “hello” hoodie in both red and blue 🙂 I don’t have any kids so I would give one to my hubby & keep one for myself! And I followed @galexina on IG! Did I miss the winner announcement? I’ve been checking since Friday and I can’t manage to find it posted anywhere.